Tailor an access control system to a brand new building open 24 hours a day, with a built in studio and have the system accommodate a large number of freelance workers. Sateon allows for scheduling all around the clock, and is simple to both add and take away privileges from individuals with just a few clicks. When you’re developing a state of the art building to host a new TV channel, you need to make sure that you’ve got prime time access control to match. Hochanda, the brand new 24-hour shopping channel broadcast across Freeview, SKY and Freesat, has been based in Peterborough ever since its founding back in 2015. The office is entirely purpose built and comes with its own TV studio, designed to withstand the rigours of live broadcast. Hochanda required an access control system that could adapt to their diverse working patterns, without impeding staff. Jeremy Haynes, design surveyor at Sonic Security Services Ltd. was contacted and recommended Grosvenor Technology’s Sateon as his Access Control system of choice. 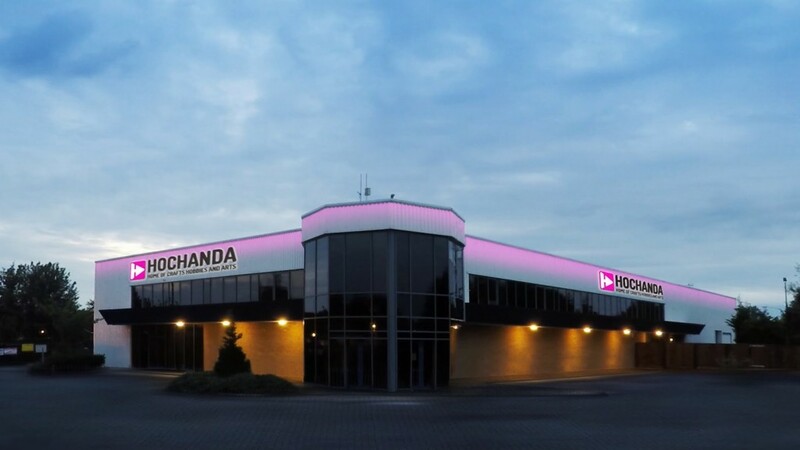 The most important factor was to be able to cope with the diversity of people registered- the building is host to TV production teams, presenters, administrative staff and the Hochanda call centre, as well as the numerous freelance employees coming in and out on a daily basis, each with their own access requirements. Remarkably, there was no need to factor in permission for any filming crews, thanks to Hochanda’s robotically operated studio working independently of personnel.